When asked who his major influences have been throughout his career. "John Wayne, Momma & God"
Though he’s a born natural when it comes to performing, Schulz also possesses other interesting trades. Schulz grew up on a working cattle ranch and quickly grew to love riding and team roping, a sport he still enjoys today. After graduating High School in 2006, Schulz went on to college and received an associates in Aviation Science. In 2011, Schulz enlisted in the U.S. Marine Corps and is actively serving his term for our country. During his time in the infantry, Schulz became a Certified Flight Instructor and currently works for SkyWest Airlines as a pilot instructor. 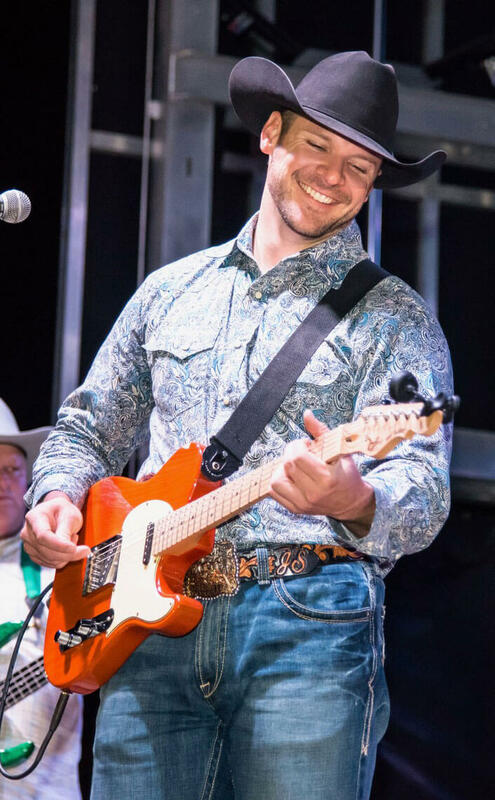 Working through his busy schedule and military obligations Schulz has managed to keep a loyal fan base and has played to sold out crowds across Texas opening shows for some of Nashville’s most famed artists such as Tanya Tucker, Charlie Pride, Alabama, Sammy Kershaw, Tracy Byrd, Joe Nichols and many more! Schulz is currently gearing up for his biggest year yet, and plans to release his first album in spring of 2018. Though Schulz’s dreams may soon grow skyward, he is quite content with all he’s accomplished thus far in his career and is very thankful and humbled for his friends, family and fans that have stuck by him every step of the way.